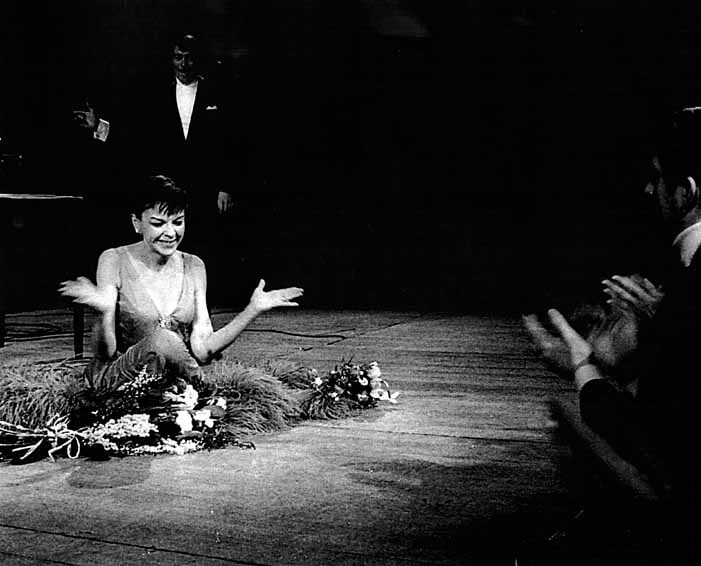 Presenting two previously unreleased Judy Garland performances! TWO PREVIOUSLY UNRELEASED JUDY GARLAND PERFORMANCES! 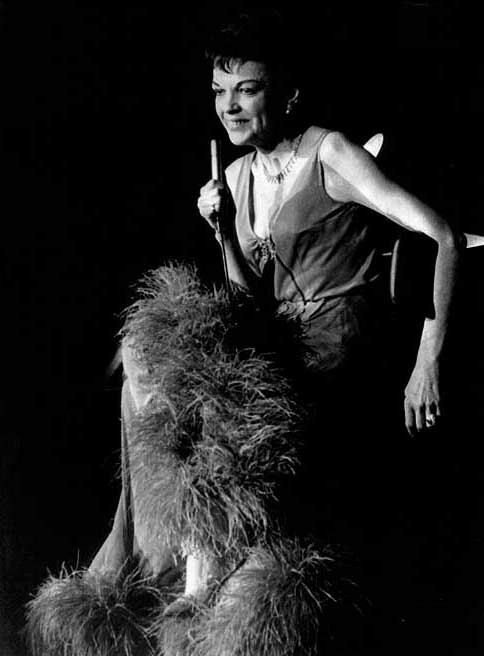 Two previously unreleased Judy Garland performances from her March 25, 1969, Copenhagen concert have been discovered and released on The Judy Room’s YouTube Channel. The videos are embedded below, followed by John Haley’s notes about where the recordings came from, plus clarification about the recordings and why they were previously unknown. We Judy Garland fans love to encounter newly discovered recordings of her, which thankfully do seem to keep coming to light. 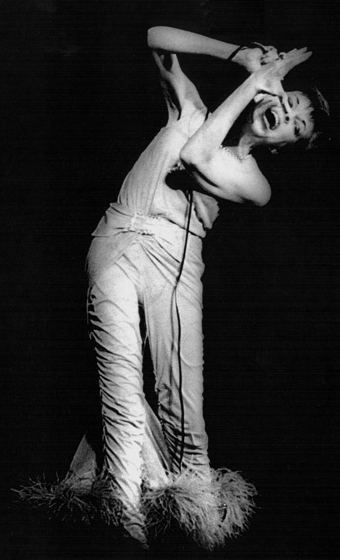 For anyone who has been mesmerized by the experience of listening to her last live concert in 1969 in Copenhagen (available in fine sound on the acclaimed 2015 CD set “Judy Garland: Swan Songs, First Flights,” for which I had the privilege of restoring the audio, the thought of being able to revisit that concert and hear yet more of it is a tantalizing proposition. Rarely do we get such “second chances,” but as described below, two more pieces of that concert have fortuitously come to light, and for ten minutes we can once again experience the thrill of hearing Garland’s magic on stage, in a live performance, recreated before us. I have restored these two new pieces, and I am pleased to make them available through the good auspices of The Judy Room. Some explanation is in order. 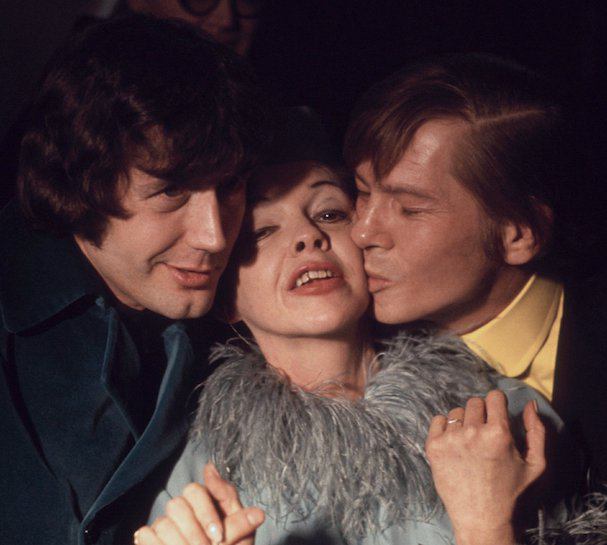 Garland’s last concert before she passed away at the too-young age of 47 occurred in Copenhagen on March 25, 1969, three months before she died. This concert was the last stop on a short Scandinavian tour, and she was in fine form, singing well and putting on a great show. In 2015 a recording of this concert was released in what was then believed to be complete form, sourced from an excellent sounding radio station tape—the concert had been taped for broadcast and was in fact broadcast several days after it occurred. Since the release of that CD set, amazingly, another tape of this same concert has surfaced, which I now own, made by the concert hall itself. This second tape is unrelated to the broadcast and is in equally fine sound as the first tape. From this newly discovered hall tape, we know definitively that the first half of the evening was a performance by pop singer and Garland friend Johnny Ray, with Garland appearing on the second half of the concert that evening. We also now know that the radio station eliminated two duets, “Till The Clouds Roll By” and “Am I Blue,” in which she was joined by Ray, who also accompanied both himself and Garland at the piano. These duets occurred right after the number “Chicago” on the program, before Garland concluded the concert with “San Francisco” and “Over the Rainbow.” If there were any encores thereafter, they are undocumented and are not preserved on any known tape. 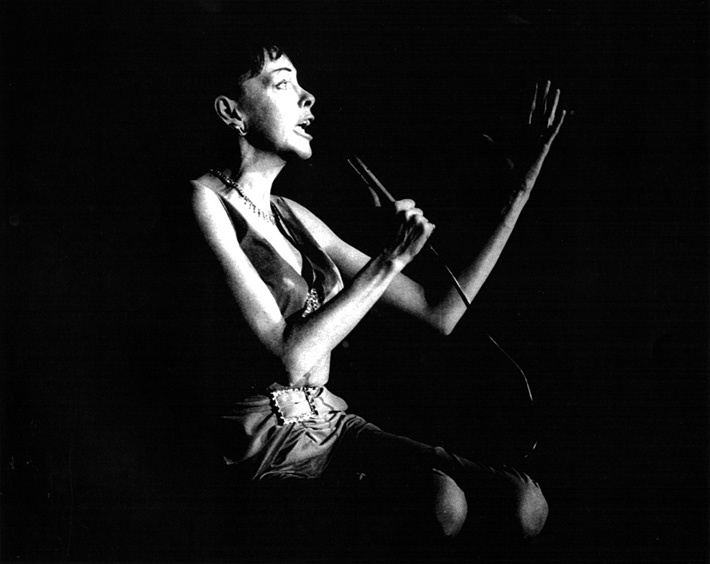 The seven glowing, contemporaneous reviews quoted at length in Scott Schechter’s excellent chronology of Garland’s life and career, Judy Garland: The Day-by-Day Chronicle of a Legend, pp. 373-376, do not mention any encores. I am now happy to confirm with certainty that the two duets as performed in Copenhagen have never been released before and are in fact genuine new Garland discoveries, made public for the very first time courtesy of The Judy Room. They are well performed, with the first duet, “Till the Clouds Roll By” having the character of something like a spontaneous jam session. “Am I Blue” is sung mostly by Garland, unforgettably, as Ray requested of her before they started. Both duets are enhanced by Ray’s beautiful piano accompaniments. The entertaining banter with the audience and between the performers before each duet is also included in full, making us feel even more like members of that 1969 audience as we listen. These excerpts are part of the very last public performance that Judy Garland gave on any stage, as she made no concert appearances or other public appearances thereafter. Listen and be held again in Judy Garland’s hand as she works her magic spell on the audience, and by extension, us lucky listeners many decades later. Celebrate Judy Garland’s 95th Birthday with “Judy”! Awesome!!! Would love to hear the whole concert taken from the hall!! The rest of the concert is the same as what was released in the 2015 “Swan Songs, First Flights” set, as explained in Haley’s extensive notes. Both sources are of similar, very good audio quality. What a lovely discovery! I have the 1993 performance and always wondered about the duets and where they were in the set list for the concert, now I know. Wonderful is all I have to say, All of Judy’s vocal issues from 1967 seem to have vanished and there still intact is that voice. Perfection. Hard to believe it’s been 38 yrs nearly to the day of that last show. I first discovered Am I Blue in the early 70’s on Bette Midler’s debut album. 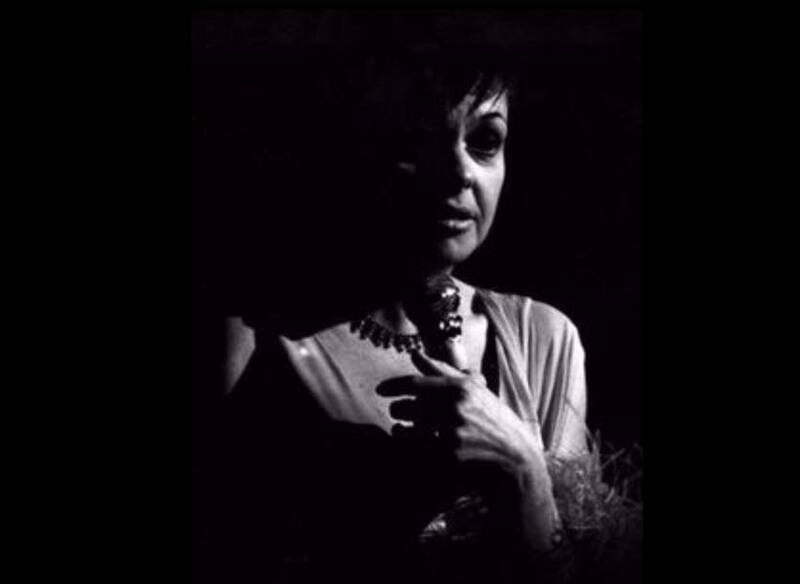 It is a lovely song and Judy’s performance is wonderful, too. Thank you so much for sharing. I thought that I read in the Judy Room that the full final concert from the collection of Lawrence Schulman would be released in 2018. I’ve searched the archives here & cannot find anything about. Regardless, there were several announcements on the net about it coming in 2018. Does anyone know the status of this project? 2018 is already half over and I am looking forward to this. I would love to know when to expect it.